I've had this recipe on my list of things to make for some time. I finally got around to making it and it was delicious! Chicken Legs took one bite and starting raving about it. He especially loved the praline topping. I loved that this chicken didn't take any prep work. I just seasoned it and sautéed it in the skillet. It took less than 30 minutes from start to finish. We served this over some white and wild rice, but next time I am going to serve it over some sweet potatoes. 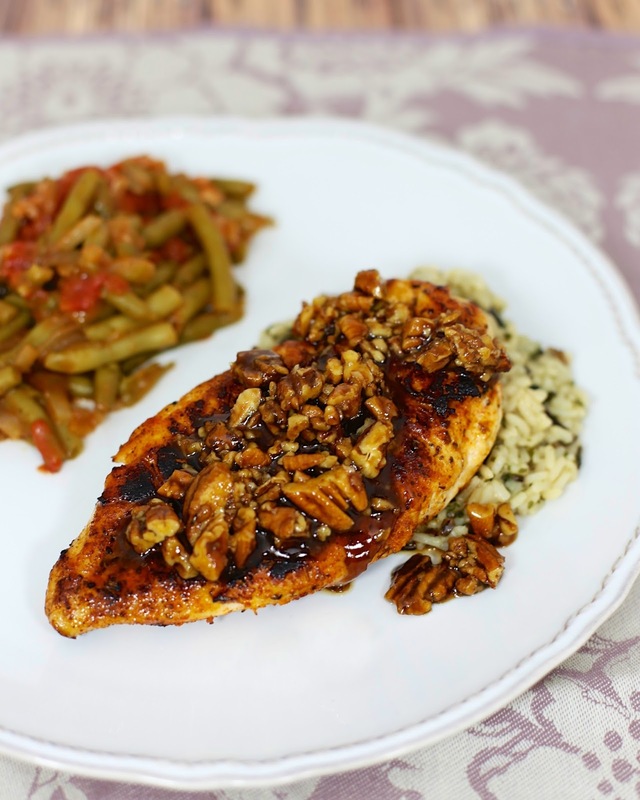 Season both sides of chicken breasts with Creole seasoning. Heat butter and oil in a large skillet over medium-high heat until hot. Add chicken to skillet, and cook 5-6 minutes per side (depending on how thick the chicken is). Remove chicken from pan. Place on platter and keep warm. Add maple syrup, brown sugar and pecans to skillet. Bring to a boil. Spoon sauce over chicken. This looks so easy! 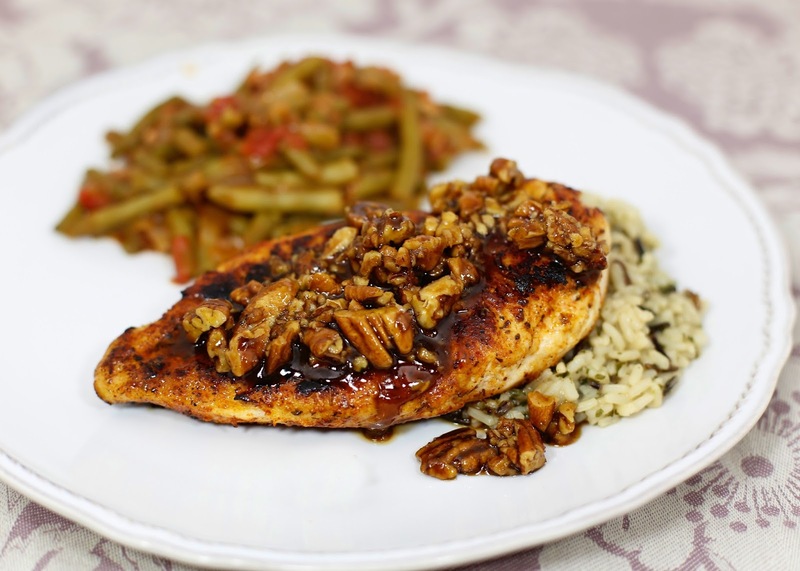 I've only had pecan chicken once (in the hospital post-partum - and it was amazing), but I might have to try making it myself now.